All you ever wanted to know about apnea diving (e.g. Does Apnea Diving make stupid?) You may of course have your very own questions that are not addressed here. Send them to us. We are looking forward to answering them. What is special about El Hierro? The island is very natural, in several ways. Due to the slightly intricate journey, the island is far away from the crush of tourists. El Hierro provides a lot of nature and quiet. The water is clear and rich in fish. For the most part, visibility to the bottom of the sea is over 20 meters deep. Due to its young volcanic origin, the underwater landscapes are unique. El Hierro is rich in dive sites, and each one has a unique charm of its own. Since the island is small, you can always find a location to dive in within a short time – regardless of wind weather and waves. El Hierro also has the world’s highest number of microclimates in such a small geographical space. When’s the best time to visit El Hierro? You can dive year round. Of course, the water and temperature is warmer in the summer than December to March. But even during the winter you can wear a t-shirt and shorts. Two fins or one, what’s better? We always use two fins in the course. That’s because it’s more convenient and two fins are more intuitive for diving. Some training is required before diving with a mono fin—unless you can tap into your inner dolphin. You’re simply more mobile in the water with two fins. Two fins (also called bi- or stereo-fins) is great when it comes to agility: during course, the training, as a safety diver for your diving buddy, covering long distances and underwater shoots. One fin (also called a mono fin) is great when it comes to efficiency in a certain time. For instance you are doing an extreme deep dive or want to dive a very long distance underwater. The diving movement is similar to the way a dolphin moves and it streamlines your dive. But using a mono fin takes practice and you loose maneuverability because both feet constrained. That being said, if you can handle the drawbacks, a monofin can also be great fun for a true freediving experience and discovering the flora and fauna. The elegant motion and effortless glide offers a unique experience in the water. In the end, it’s not what’s better, it’s about what kind of experience you after. You can rent everything you need for freediving at Freediving El Hierro. But if you have a unique size requirement, it’s best to let us know in advance so we have everything ready. You can bring your own equipment, too. Especially from 2** upwards if you want to regularly dive to the bottom of the water. The most important piece of equipment is a well fitting diving mask—special freediving masks are the best. 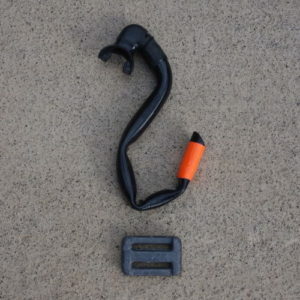 Also for snorkels, fins, suits and weight belts there are products out there which are optimized for freediving. By all means, you do not need to drag along weights. If you dive with us you can borrow weights and belt free of charge. If you have questions or are unsure about your gear, just contact us. We’re happy to help, because hardly any (scuba-) diving shop is well-assorted with freediving products, and mostly they have no idea what an apnea diver really needs. What is the difference compared to scuba diving? Perhaps best answered with a metaphor. You can reach the top of the mountain by foot or cable car—in the end, you’re still enjoying the same view. But the hiker has enjoyed the ascent despite the effort in a completely different way. He also has less time on the peak. Just as the cable car passenger loves being carried upwards and having a great time with little effort, Scuba diving is fun and it is simply nice to remain underwater for a longer amount of time. Freediving certainly is a lot more demanding. The absence of gravity, the freedom of movement, the elegance, the fascination, experiencing the moment as a freediver much more intensively, the meditative state, experiencing oneself, actively controlling one’s mental activity, achieving something in the relaxation that you would not have considered possible. These are the responses you get from many Freedivers. Sorry, not in our courses. The so called rapture of the deep is a phenomenon that’s only possible at competitive and high-performance diving depths. In other words, very very deep! What is the risk of suffering decompression illness or accident during the course? Zero. Decompression illness (or the bends), affects scuba divers that do not adequately decompress following prolonged exposure to increased pressure. With a tank you can, of course, remain in deep water for longer period of time. A rapid ascent under these conditions can cause harm. Apnea divers do not stay for a very long time at depth. DCS can only effect freedivers in extreme depths and extreme diving times that are well beyond what we enjoy. How deep do you have to dive? You don´t have to do go deep to have fun. And it is all about a playful, joyful and relaxing time in the water. Five centimeters is enough to achieve that. The fascinating thing is the more relaxed you are (along with our tips), the easier it is to dive. And for the most part, you also accomplish the requirements that you need in order to complete a diving course. At the end of the day, the best diver is not who went the deepest, but the one who had the most fun. What’s so relaxing and at the same time fascinating about apnea diving? The absence of gravity, the freedom of movement, the elegance, the fascination, experiencing the moment as a freediver much more intensively, the meditative state, experiencing oneself, actively controlling one’s mental activity, achieving something in the relaxation that you would not have considered possible. These are the responses you get from many Freedivers. A diving session starts with relaxing physical exercises. Every single dive is prepared for by relaxation techniques and relaxed breathing. And finally, afterwards, the “being” in the water. Enjoying almost weightlessness in the deep blue and experiencing the moment is quite an intensive way. All this puts the body, mind and spirit in a very fine, comfortable and pleasant condition. Well, it probably is the strong presence and the intensive consciousness engaging with the breathing and the body, combined with calmness and peace. Usually, beautiful experiences of nature then perfect the diving session. Do you use weights to sink into the water? No;in no way. Being dragged into the deepness using weights is a special discipline within the apnea sport for a few extreme divers. There are only a few that dive this way and the most extreme among them are sponsored by the “bullish soda industry”… which again attracts the media. At Freediving El Hierro we always dive in such a way that we float on the surface by ourselves – without having to do anything – even with a weight-belt. The only reason for the weight-belt is to balance the uplift of the wetsuit. If we would only wear the diving suit, without a little weight, it would be impossible to dive underwater. Unfortunately, the media almost exclusively pictures apnea diving as an extreme sport. Of course, those activities that leave an unpredictable residual risk even for top athletes are the most spectacular ones. This often results in the distorted view that freedivers are entirely manic “danger freaks” and underwater kamikazes. The reality is that, as for any other sport, there are a few extremists her as well. Only two dozen out of every several million car drivers drive in circles at a speed of 300km/h as well. And just as for mountain climbing, enjoyment equals a dangerous expedition on a mountain of 8000 ms, only for a few mountaineers. Freediving is a sport that, if you take safety rules to heart, dive within your limits and at least two people always enter the water together, has a very low risk of injury. Does freediving makes you stupid? Of course not. Even if we are holding our breath for such a long time until we want or need to breathe again, we still have such a high percentage of oxygen in our blood that we are far from any health drawbacks. You, of course, can force yourself to stop breathing until you faint. And it seems likely that if fainting is repeated constantly, this may be unhealthy. 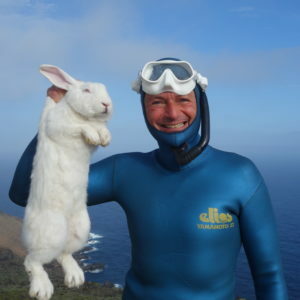 But this has nothing to do with freediving. What kind of health condition should I be in prior to taking the course? You need to be as healthy as you need to be to perform any other normal sport activity that matches your level. If you experience acute or chronic problems with your cardiovascular system or with ears and sinuses, please talk to your doctor. Severe, also past, health disorders have to be discussed with the doctor beforehand anyway. You get a questionnaire for this prior to every course. Which sporting basics should I have? In any case, you should know how to swim 😉 and you should generally just feel comfortable in the water. You do not need anything else. Do I already need to be familiar with scuba diving? No! It’s not necessary at all.